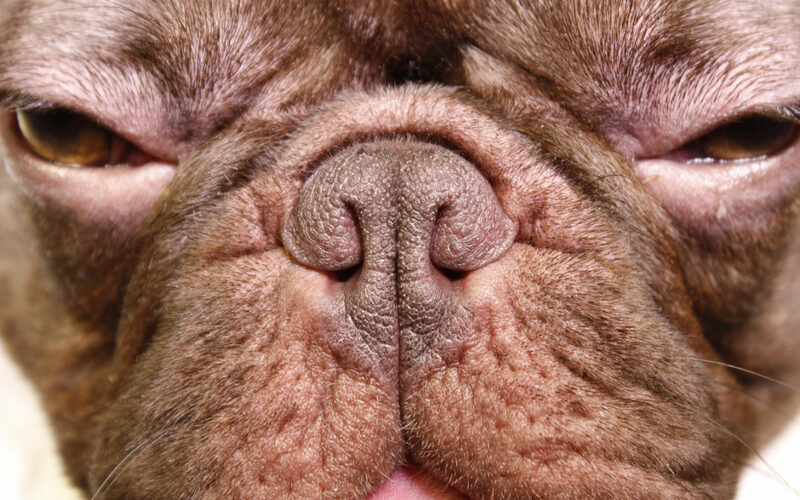 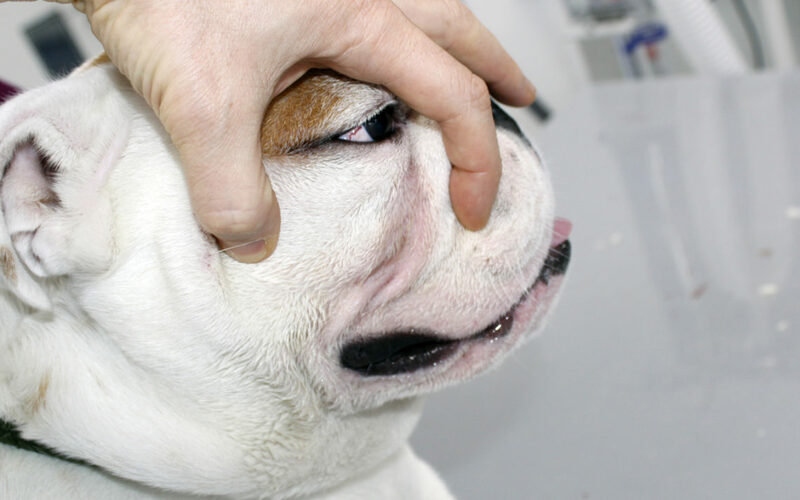 Facial profile of a brachycephalic dog showing the extreme shortening of the nose. 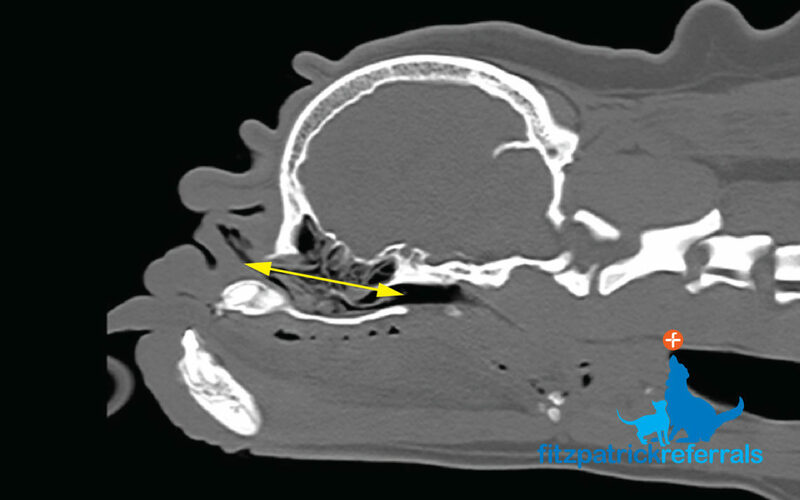 CT scans of a pug. 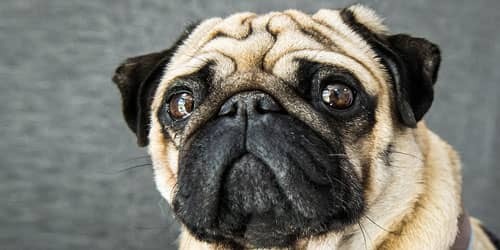 The nasal cavities of the pug are extremely short, compressing its contents in a small volume, making the airways obstructed. 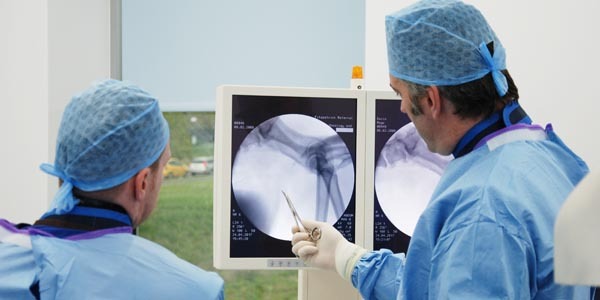 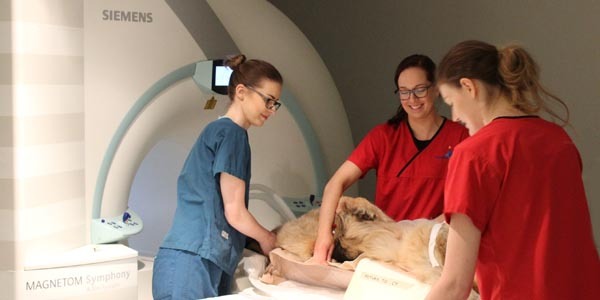 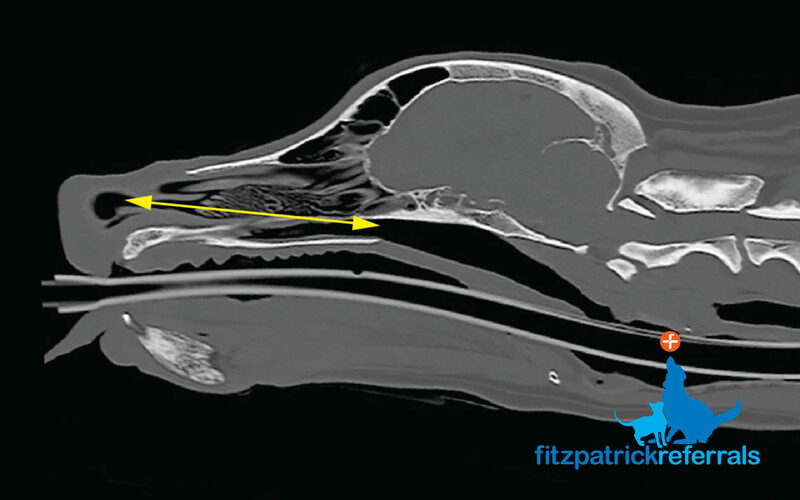 CT scans of beagle (left) and of a pug (right). 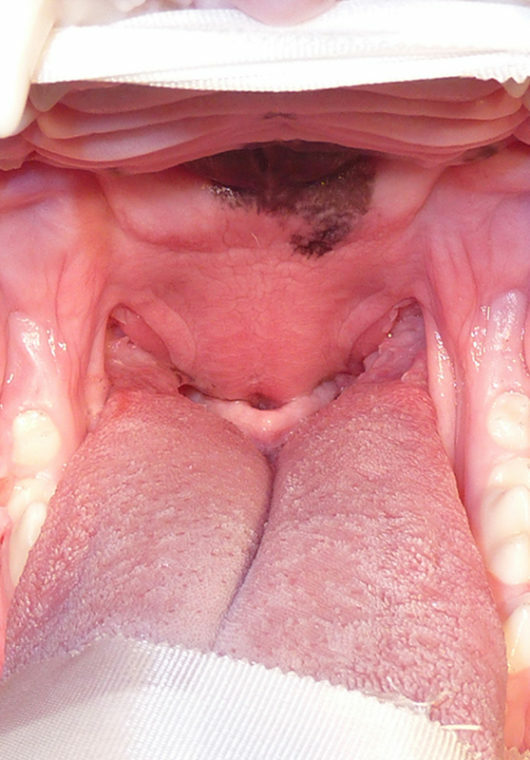 The soft palate is outlined in yellow. 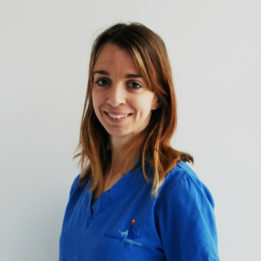 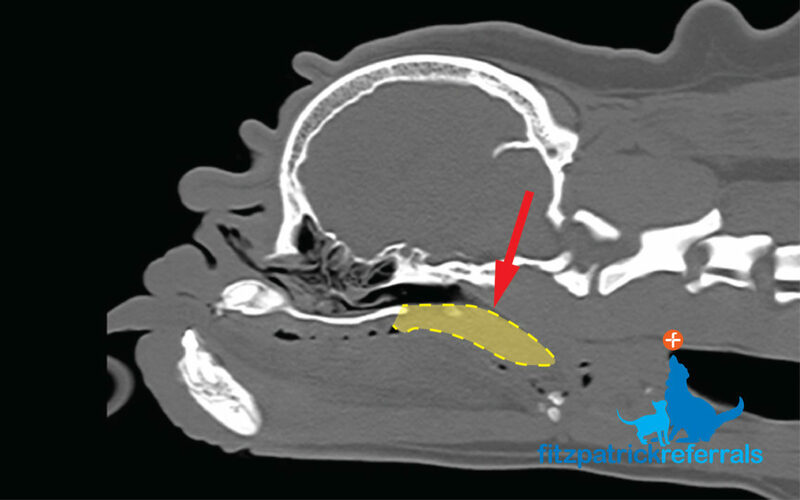 The red arrow indicates the airway passage at the back of the nose (“nasopharynx”), seen in black. 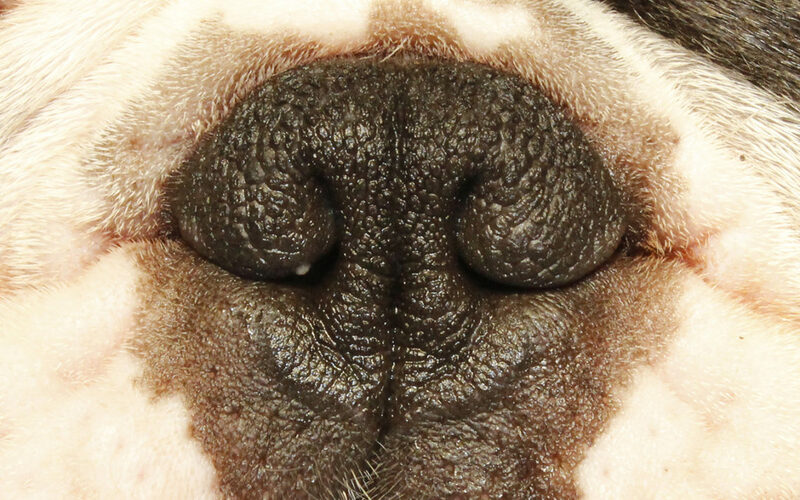 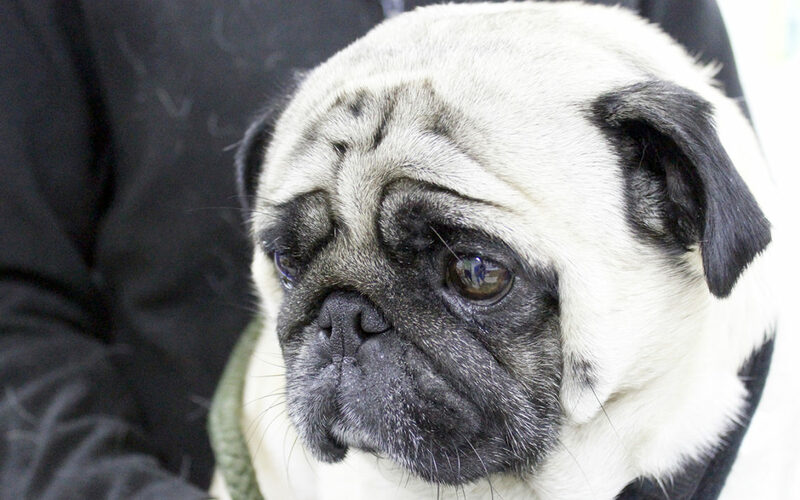 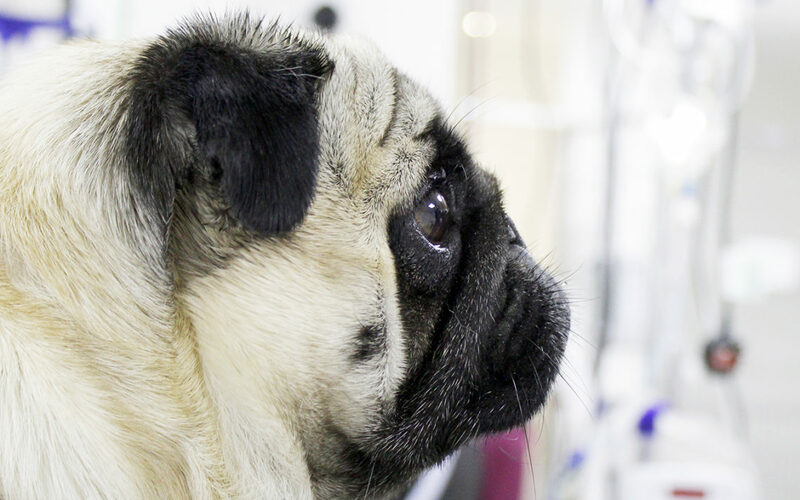 It is hardly visible in the pug, being entirely obstructed by the soft palate. 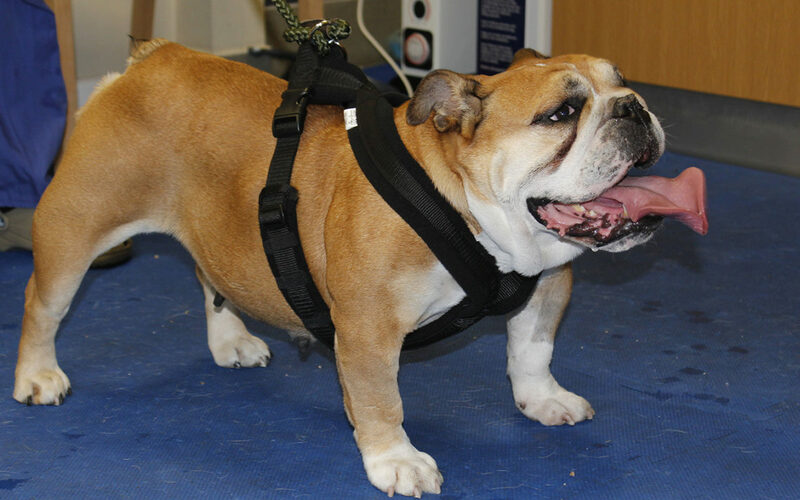 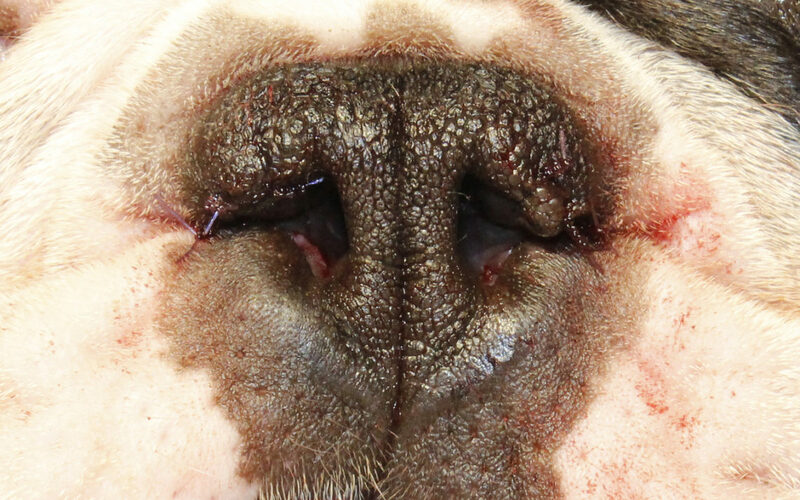 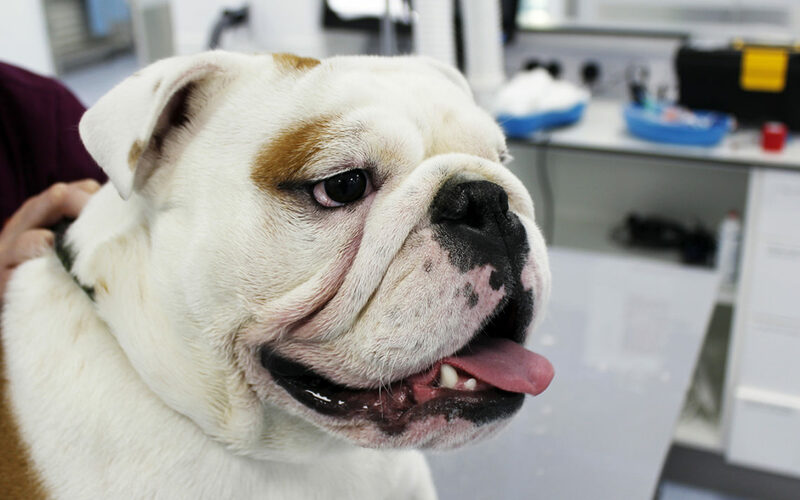 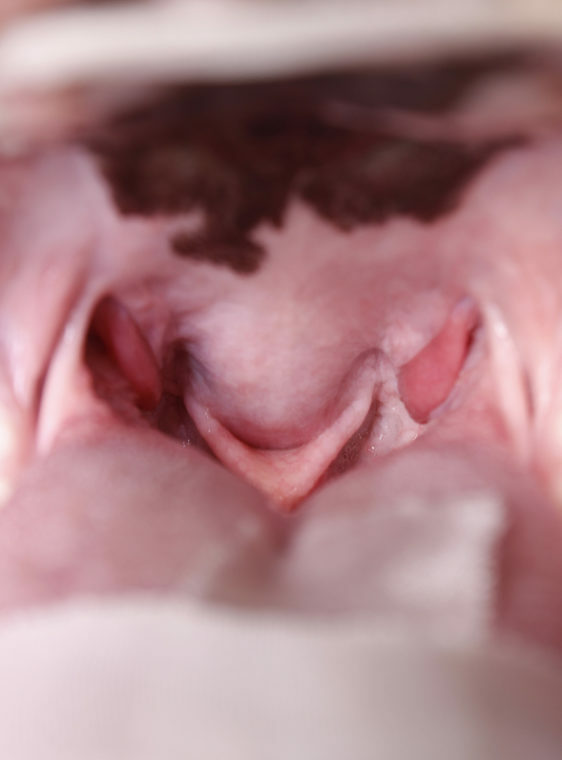 Views of the soft palate of an English bulldog before (left) and after surgery (right). 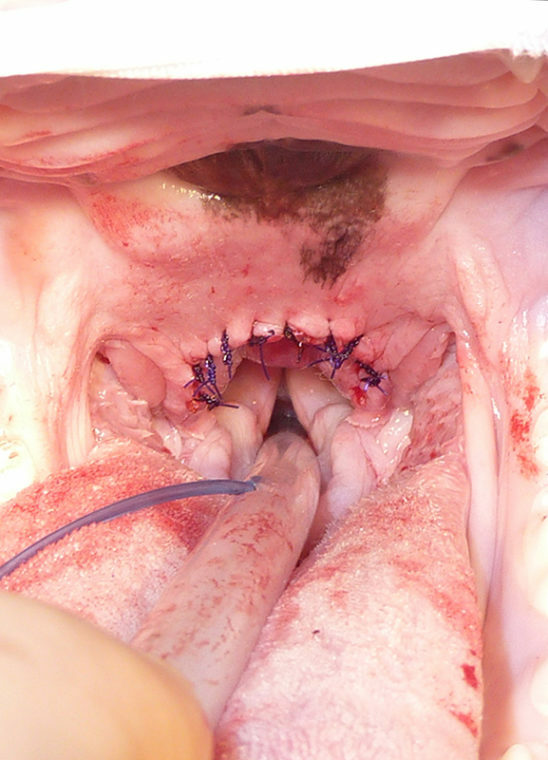 Note how the soft palate obstructs the airways entirely before surgery.